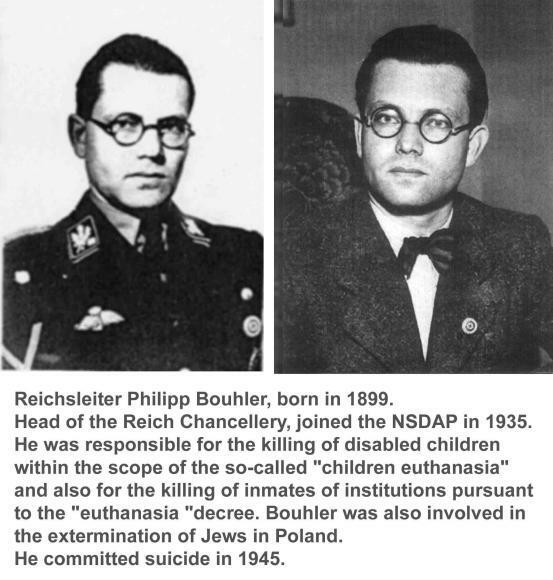 Euthanasia - the "mercy killing" of people "not worth living" became a murderous program in Nazi Germany. This campaign is believed to have resulted in the killing of approximately 200,000 people. Evidence from the Nuremburg trials estimated that even 275,000 people were murdered. 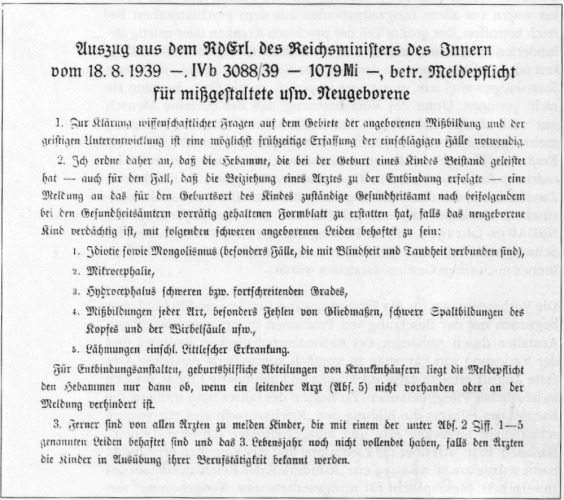 According to the decree from 18 August 1939, the Nazis enacted the obligatory registration of all births of physically and mentally handicapped children. These children up to three years had to be reported to the public health offices. The selected children were sent to several mental homes where they were killed by lethal drugs or withdrawal of food. Up to 8,000 children lost their lives in course of this "children euthanasia". 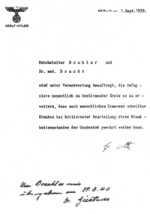 On the basis of Hitler's order from October 1939 the program was extended on adults. This order was backdated on 1 September 1939, day of the German attack on Poland. The beginning of WW2 diverted the population from the euthanasia programme. The Nazis could get rid of "useless eaters" to save money and personnel, and get more free beds in hospitals. In course of the occupation of Poland mobile gas chambers were used for the killing of mental homes inmates there. Already in 1924/25 Hitler wrote "if there is no more power to fight for the own health, the right to live comes to an end." (Hitler, Adolf. Mein Kampf, p.282). 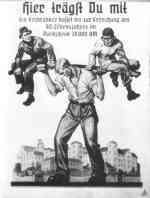 The benefit of eliminating approximately 70,000 handicapped persons was mentioned by Hitler on the NSDAP party conference in 1929. 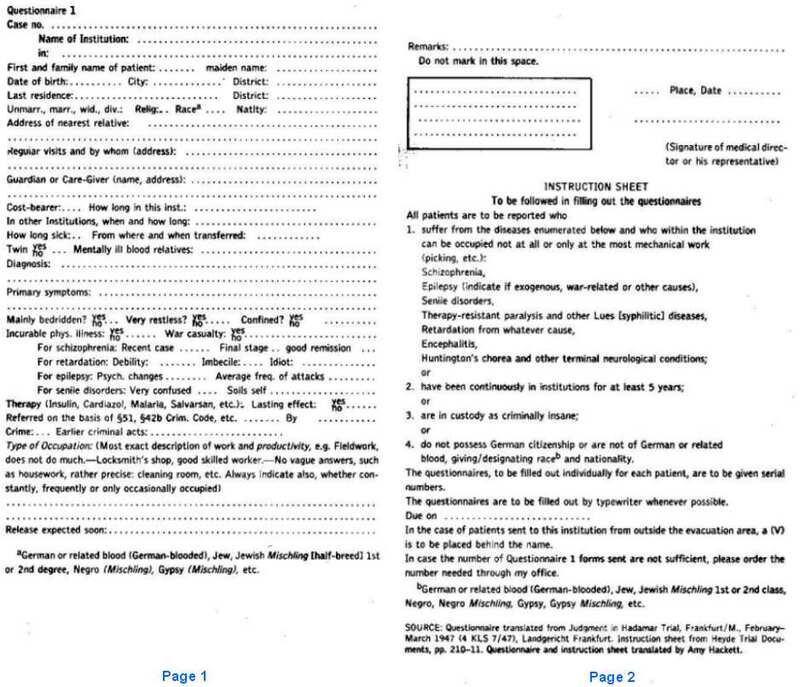 Sent registration forms to all mental homes which returned the filled in forms to RAG. RAG forwarded them to medical experts who decided about life or death of the patients. Transport organisation. Large Gekrat buses (former post buses) carried the handicapped persons from their mental or nursing homes to the euthanasia killing centers. Rented complete buildings or parts of them, converted rooms into extermination sites, installed equipment, selected suitable personnel and managed economical matters. Central Clearing Office for major financial matters like self-financing of T4. The head office was located in a Berlin villa on Tiergartenstraße 4. Hence "T4" or "Stiftung" became the terms used by the inner circle. 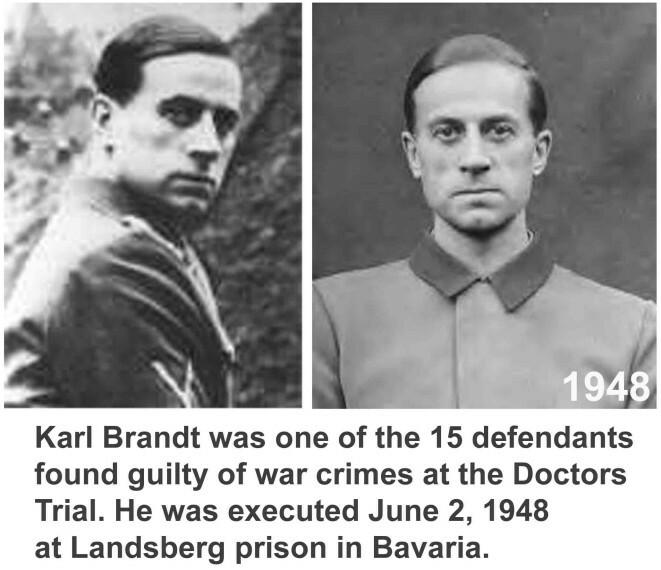 Hitler's favourite doctor Karl Brandt and the chief of Hitler's private chancellery, Philipp Bouhler, headed the top-secret euthanasia programme. Doctors and medical assistants applied to assist with this programme. The volunteers were attracted by a salary which was comparable with the salary of a mayor governing a town of 20,000 residents! Hadamar near Koblenz (January 1941 - August 1941). Each of these killing facilities were served by some intermediate mental homes, the Zwischenanstalten. 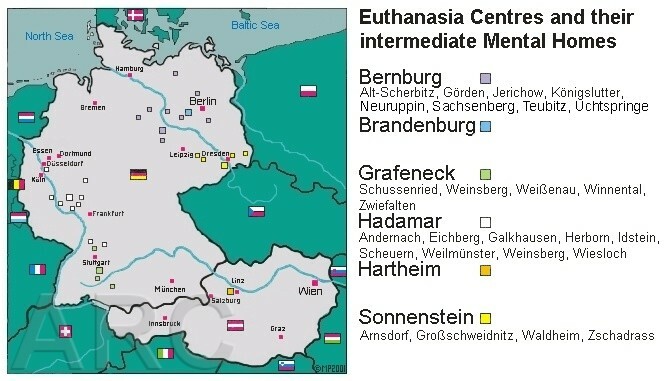 The victims were sent from their mental homes at first to these Zwischenanstalten, then to euthanasia centres finally. Zwischenanstalten had two functions: 1. Managing the capacities of the six euthanasia centres and 2. Disguising the remaining of the victims if relatives inquired. The T4 victims were murdered in gas chambers, disguised as shower baths, by means of carbon monoxide, emitted from gas cylinders. "Originally one has taken into consideration to kill the single incurable persons ... by injections or overdosed sleeping pills. But this consideration ... has been called impracticable from the technical point of view ..., by the majority of the consulted doctors. Therefore it was proposed ... to kill the persons being eligible simultaneously in a bigger crowd somehow. After many consultations ... hearing the chemist of the Reichskriminalpolizeiamt too, one decided to install a room in a number of conveniently located sanatoriums. The room should be filled with carbon monoxide gas then ... "
Relatives of the victims were told that they had died as a result of illnesses such as heart failure etc. Finally the relatives got an urn from an euthanasia centre, filled with mixed ashes from different victims. The procedure of deception and gassing became a model for the later killings at the Aktion Reinhard extermination camps Belzec, Sobibor, and Treblinka. In these camps the victims were killed in gas chambers by carbon monoxide gas, emitted from Russian tank motors. (Testimonies from the three "gas masters" Bauer (Sobibor), Fuchs (Belzec and Sobibor) and Münzberger (Treblinka)). 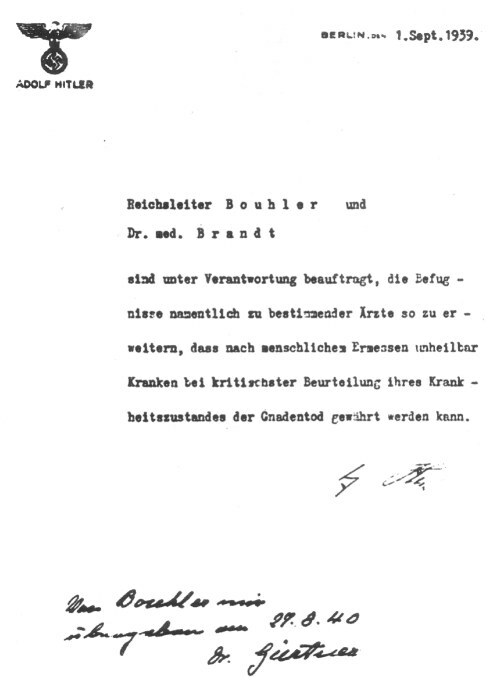 Hitler officially halted the T4 programme on 24 August 1941. The intended rate of around 70,000 persons to be killed, was achieved. Nevertheless the killing continued until 1945 during a second phase. 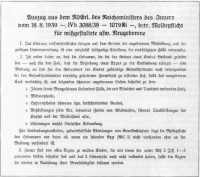 Now inmates of KZs (“Aktion 14f13”), disabled individuals in the conquered territories in the East, and other remaining inmates of institutions were also systematically murdered by overdoses of pain- killers and tranquilizers, or by deliberately caused conditions of exhaustion and malnutrition (e.g. in Meseritz-Obrawalde). Since "free beds" in sanatoriums were needed in the cause of finding accommodations for Germans injured in the war (Aktion Brandt), the number of victims increased. Between end of October 1941 and summer of 1942, approximately 100 T4 members were sent to Lublin to install and operate the three extermination camps of Aktion Reinhard. The T4 operation members Wirth, Stangl and Eberl became the first commanders of Belzec, Sobibor and Treblinka. Wirth was appointed inspector of the Aktion Reinhard extermination camps. 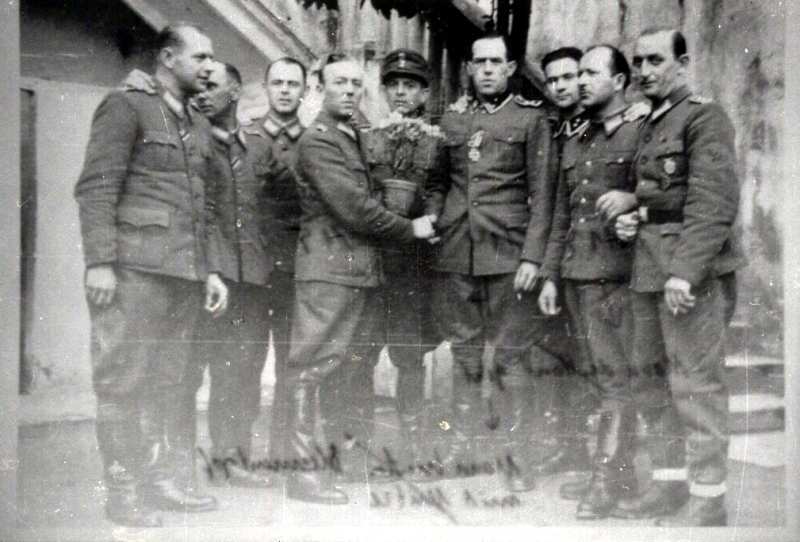 By the end of 1943, after they had finished their bloody work in Poland, most of the T4 men were sent to northern Italy to implement actions against remaining Jews and partisans. Many of them turned up again in the concentration camp San Sabba near Trieste. The group disintegrated after the surrender of the German Wehrmacht in Italy. Today the villa where T4 was located, isn't visible anymore. 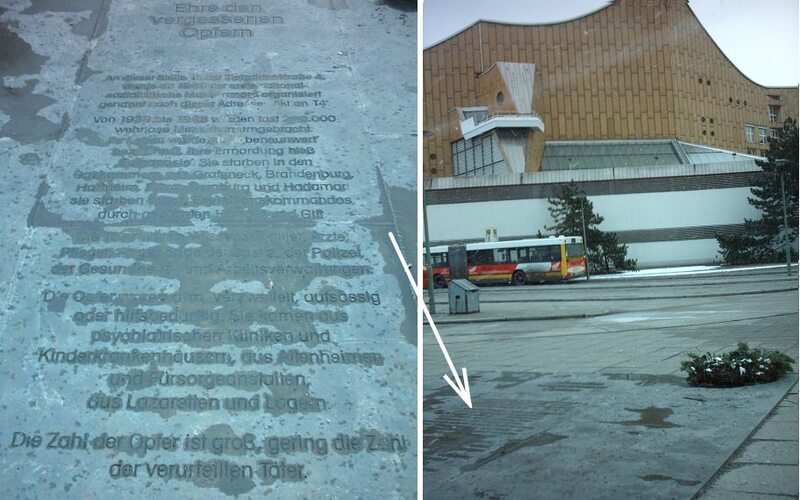 New buildings took up the location but a commemorative plaque is to be seen. Hoffmann, Dr. Ute, and Schulze, Dietmar. Gedenkstätte Bernburg. Winter, Bettina. Verlegt nach Hadamar - Exhibition Catalogue. Neuhauser, Johannes, and Pfaffenwimmer, Michaela. Hartheim - Wohin unbekannt.